Q: What makes Dial-A-Maid different from other cleaning services? A: Dial-A-Maid has been the preeminent Chicago cleaning service for the past 44 years. During that time we have focused our business on serving our customers..not on making a business our of franchising. We’ve been in business for over 44 years. Yes, all of our employees go through an intensive background check. We only hire employees that we would trust in our own homes! 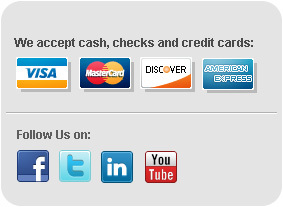 We accept cash, checks, credit card payments . You can arrange to pay us ahead of time, or you can leave the payment on the kitchen counter in an envelope.